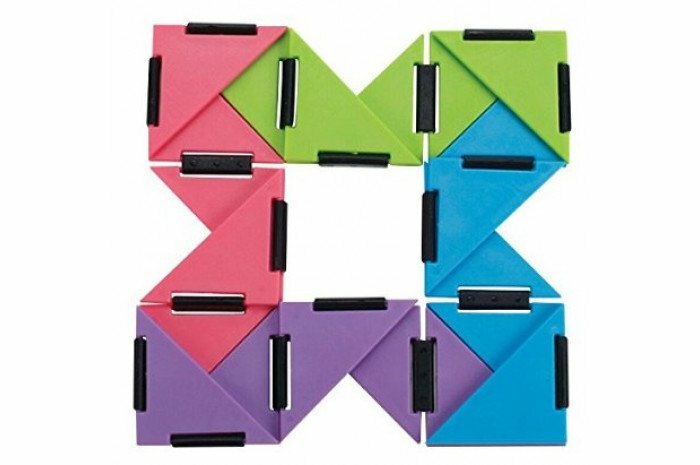 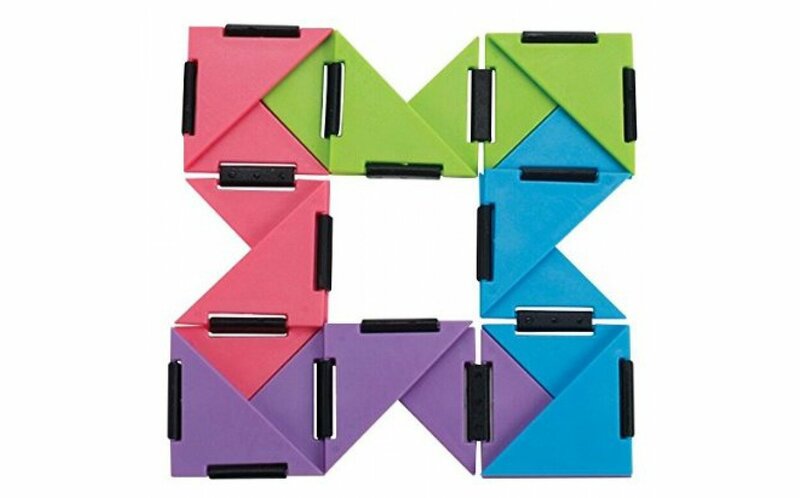 Flip it, fold it and bend U-Fidget. 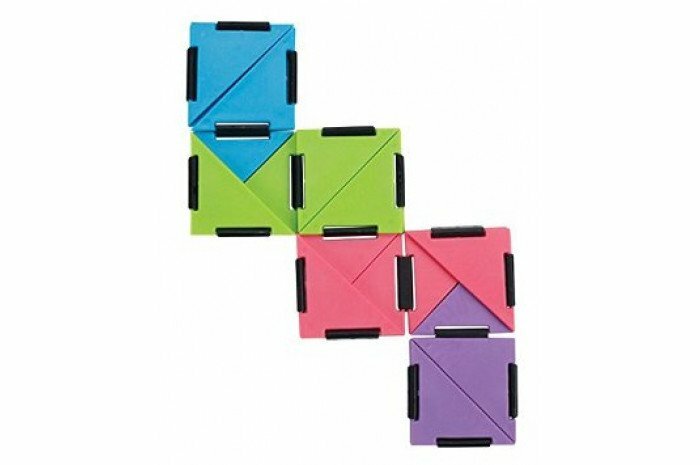 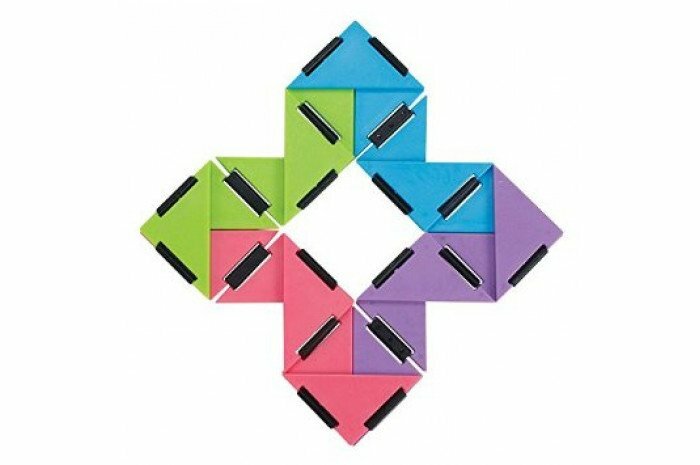 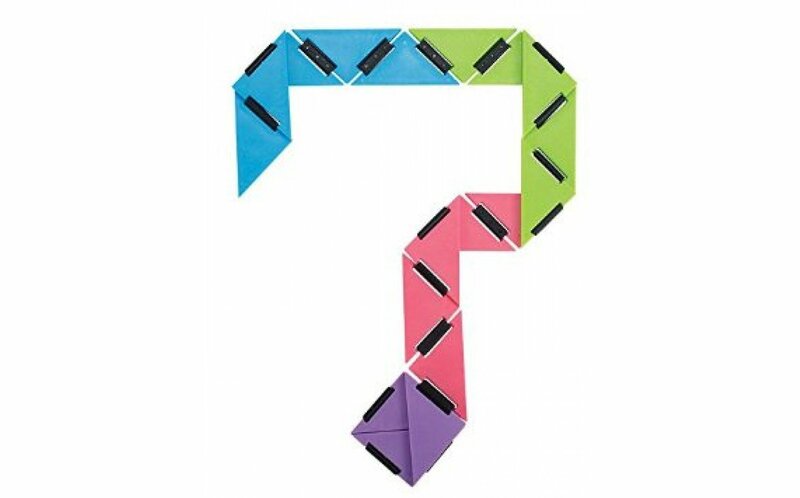 This set of twenty-one 2" colorful hinged triangles will keep those finger occupied and the mind free. 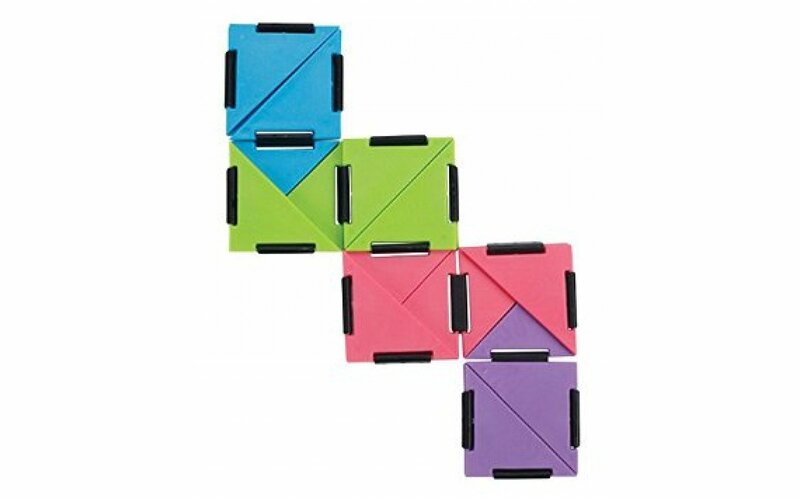 the size and how they connect. 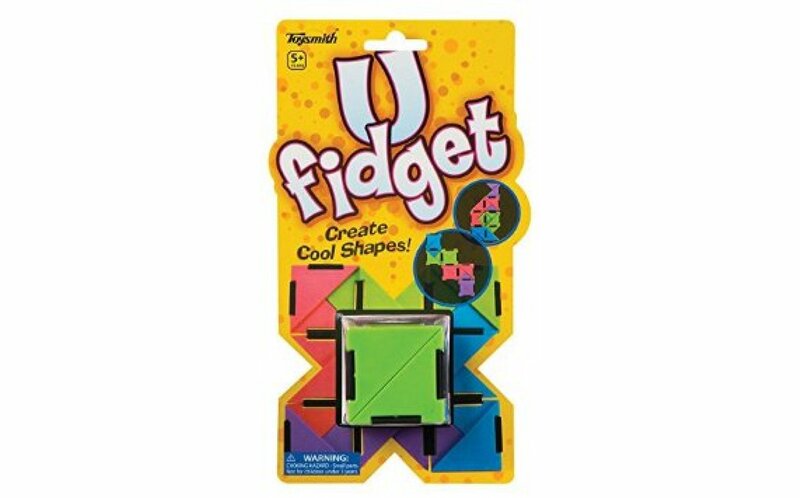 Good quality but I was disappointed that the joints were so flexible. You can't build with it unless it is flat on a table. 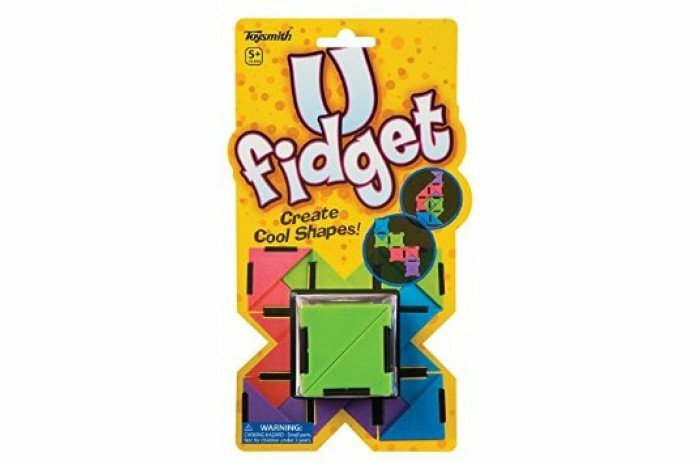 I would prefer something you could build into shapes while holding in your hand.